New reporting requirements that go into effect on Jan. 1, 2015, for large employers under IRS Section 6056 are meant to promote transparency into health plan coverage and costs. Is your organization and its HR department in compliance? 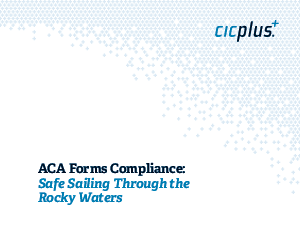 Does everyone who’s responsible understand the risks of noncompliance? New reporting requirements for 2015. Jan. 1, 2015, marks the phase-in of information reporting for the 4 percent of U.S. employers that the ACA requires to offer “quality, affordable coverage to employees” or make a payment. What those requirements mean for your business. Employers must report to the IRS the health plan coverage they offer (or do not offer) to employees and also report certain information to their employees. If you’re a self-insured employer, additional reporting will be needed.